Check out some of our song samples, here! Each family enrolled in the program takes home a beautifully illustrated songbook and a CD for each session. The music is pitched in just the right range for children’s voices and includes songs, rhythmic chants, tonal and rhythm patterns, and instrumental play-alongs, all in a rich variety of genres, tonalities and meters. Original songs and arrangements by the program co-authors make these collections especially unique. Each of the nine Music Together Song Collections also includes traditional American folk songs and rhythm chants, as well as music from many other cultures--and each collection always includes at least one song in another language. 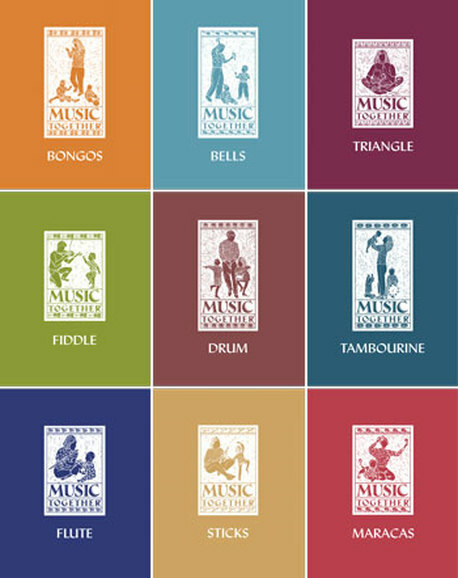 Outstanding musicians play a variety of instruments, such as guitar, bass, flutes, keyboards, and percussion. And all of the songs are suitable for mixed-age groups, perfect for childcare centers or families with children of different ages.